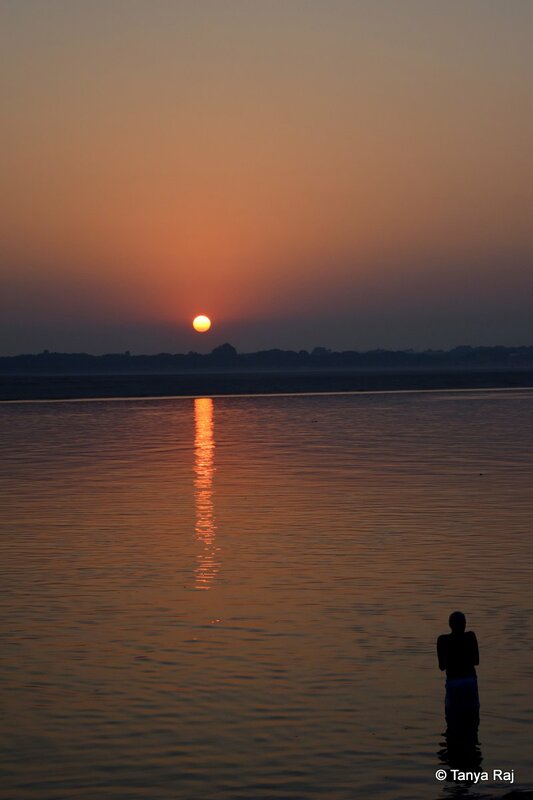 Kashi, or Varanasi/Banaras as it is known today, is the oldest continually inhabited city in the world. 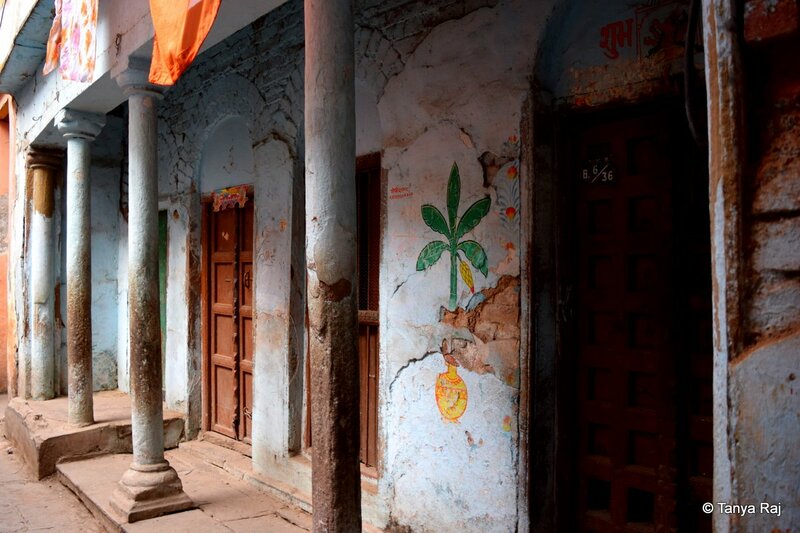 The history of the place is writ amongst its charming ghats to its maze-like by-lanes. Life here is bodacious, vivid and gives you a sense as old as time itself. 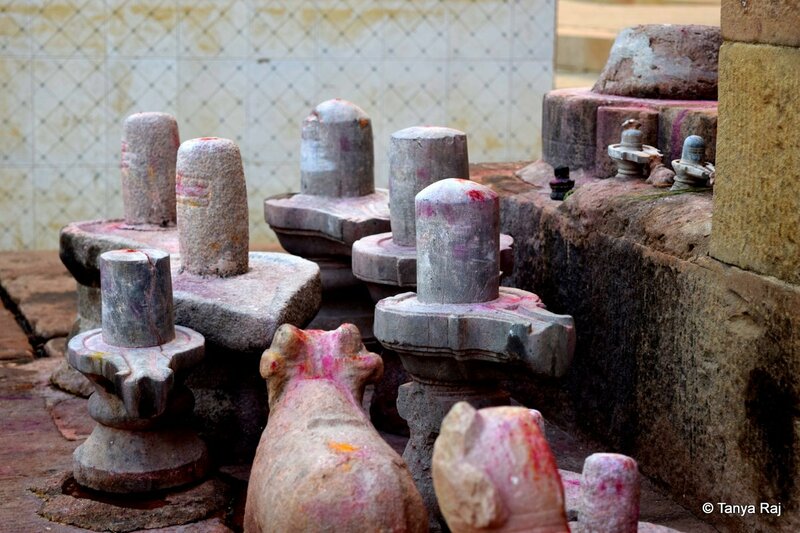 This place is an important site in Hinduism. 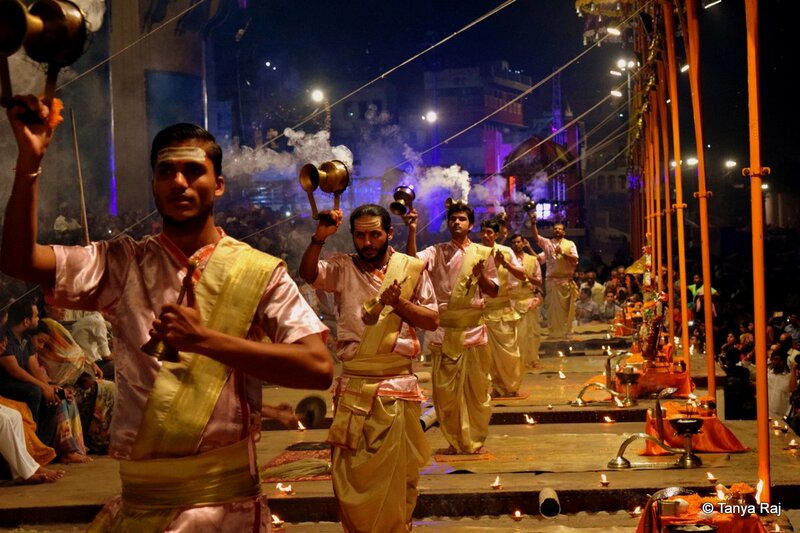 The stepped ghats that lead to the River Ganges are divided into 88 sections, where every community in the country has a section dedicated to them. 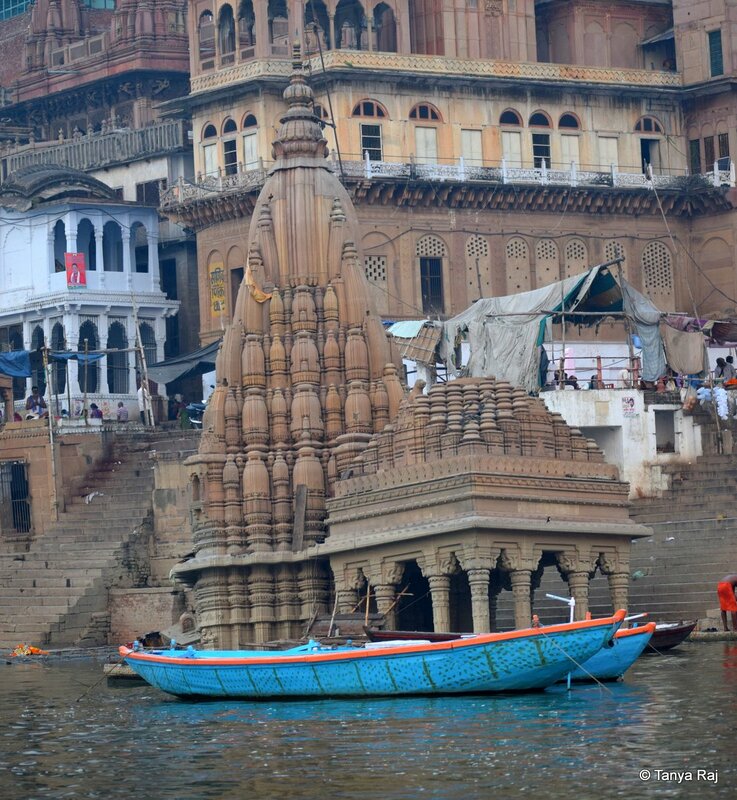 Walking along the ghats is an experience to the senses, as is watching it from a boat on the river. 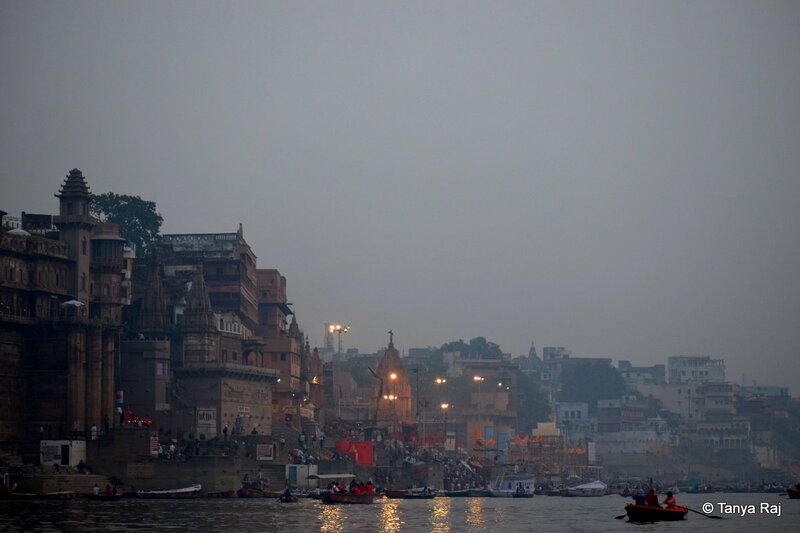 A panoramic view of the ghats along the river. A partially submerged temple near Manikarnika Ghat. 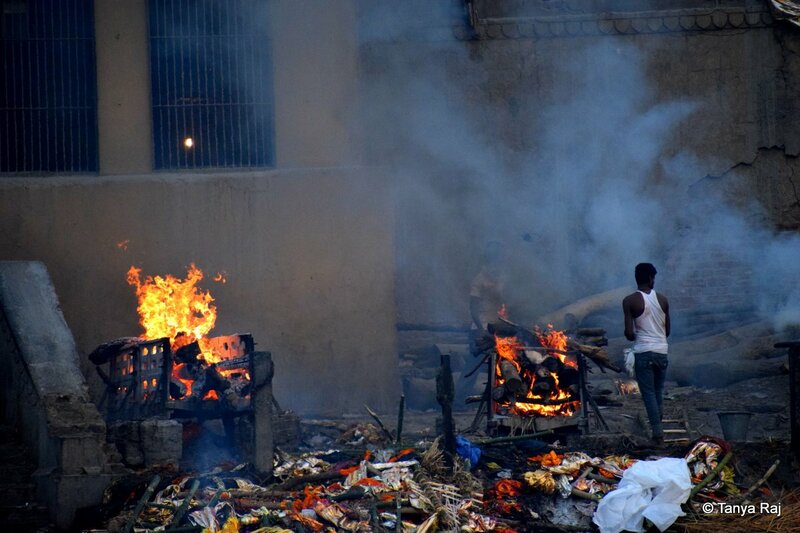 Kashi is also considered a place for Moksha; here at Manikarnika Ghat the dead bodies from all over the country arrive and the fires never stop. Reminds me of the quote by Salman Rushdie “We owe death a life”. 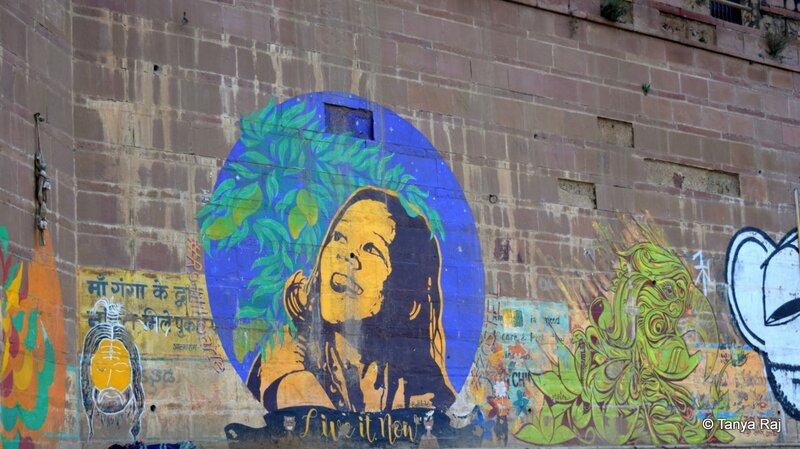 Beautiful murals adorn the walls of the ghats all throughout its length. Umbrella tops resting before the hustle-bustle of the day begins. 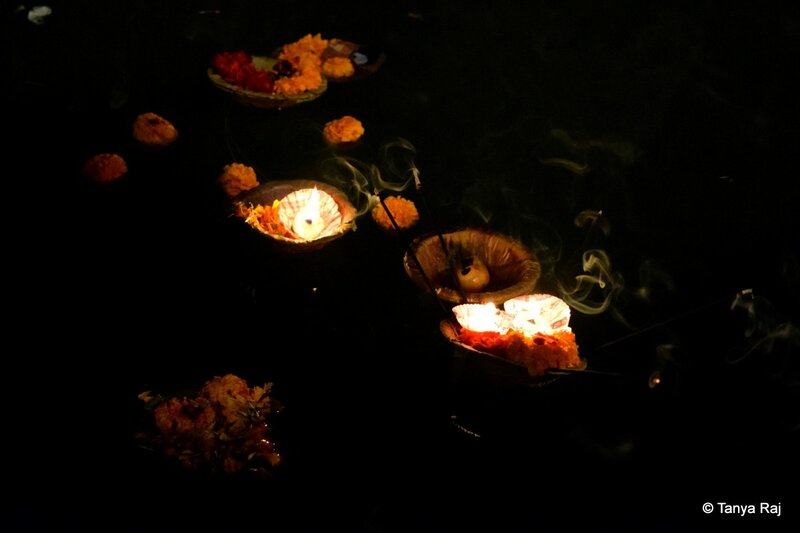 Millions of lit lamps get floated in the river every day in the name of faith. 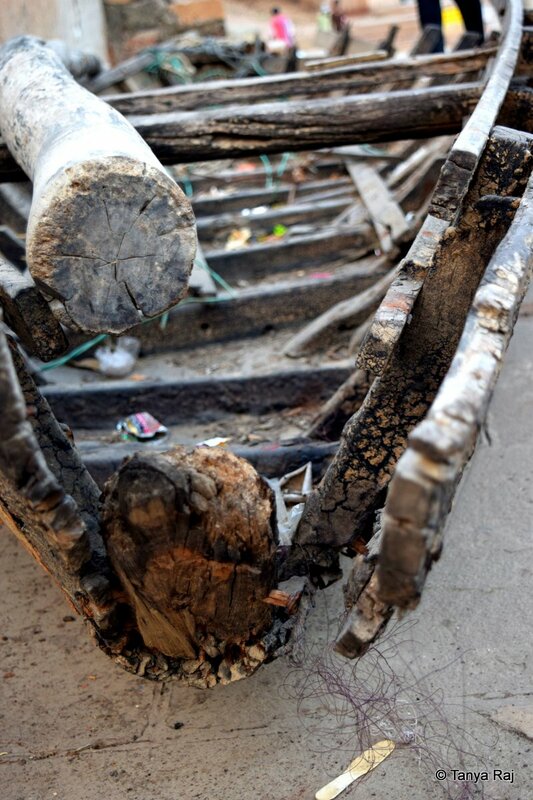 Wabi-sabi on a boat’s carcass. 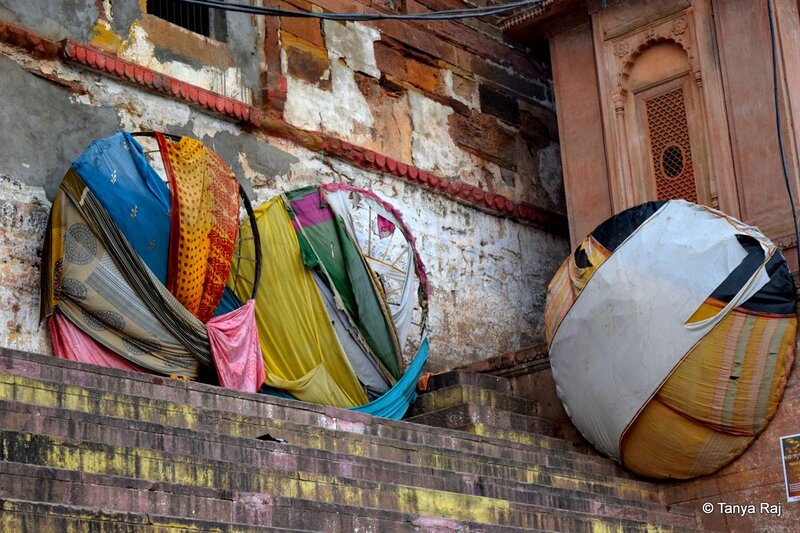 Clusters of shivlings adorn the steps leading to the river. 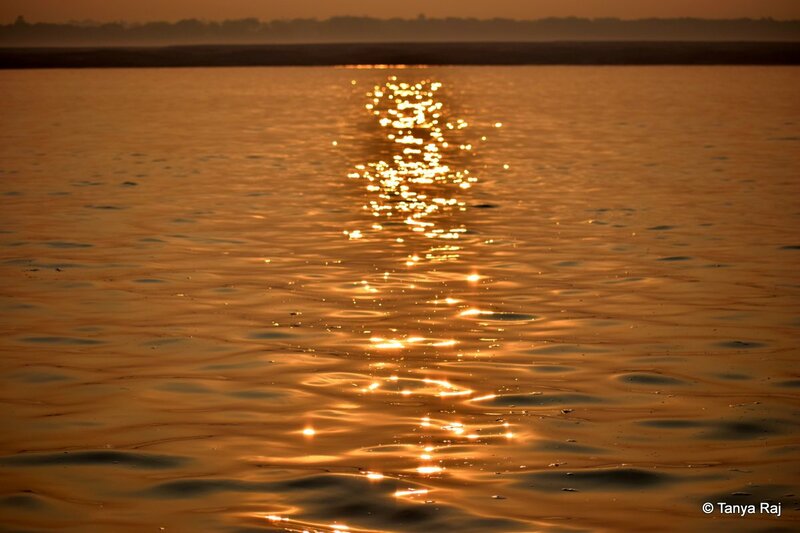 The river Ganga that travels from the Himalayas to the plains of Bengal, cuts a journey through most of Northern and Eastern India. 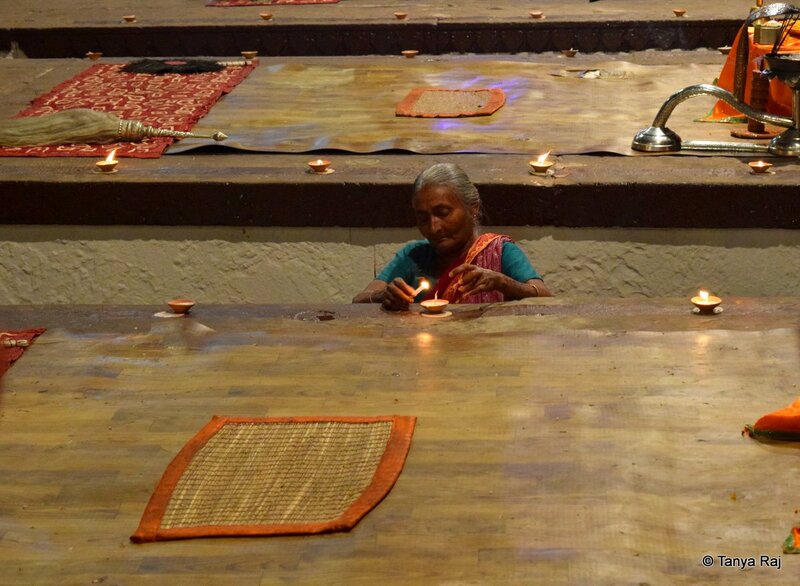 In its wake, it has also created teeming cities on its shores where people not only depend on it for livelihood but also revere and worship it. 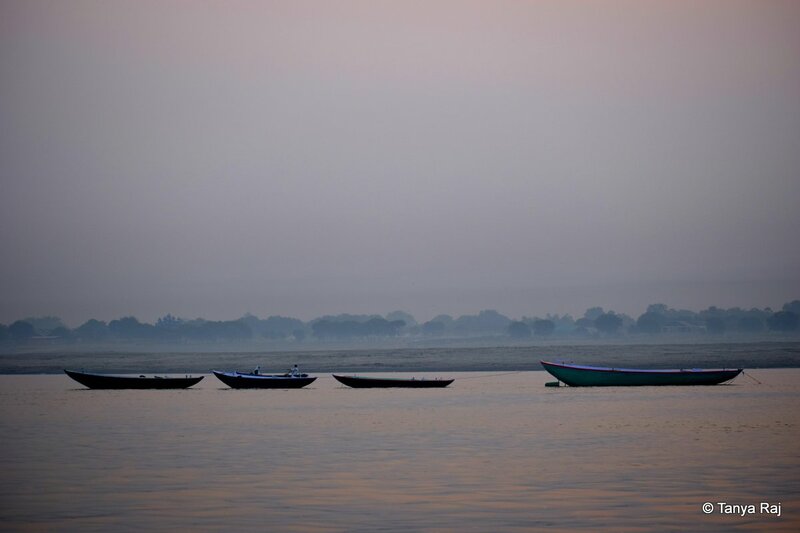 Before sunrise, opposite the ghats, the boats sit idly in the calm waters. The sun begins its ascent. 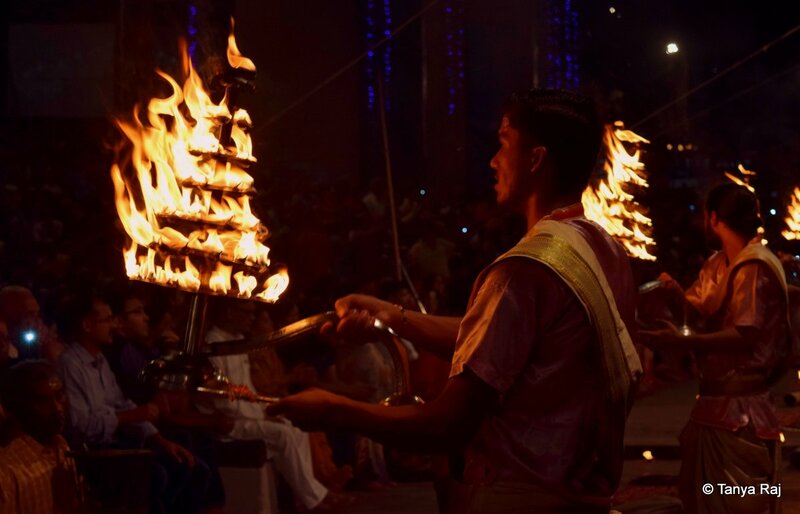 The Ganga Aarti (worship with fire) is conducted at many holy sites such as Rishikesh and Haridwar, but it was the one at Varanasi, that really left me mesmerised. 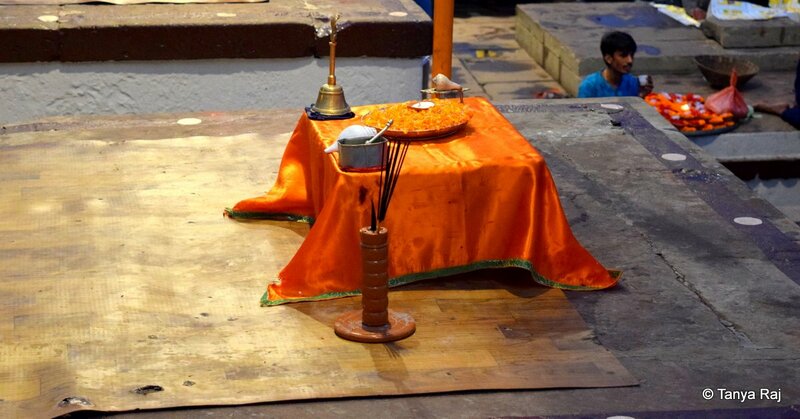 As the sun sets, the stage is set at Dashashwamedha Ghat for the aarti to begin. 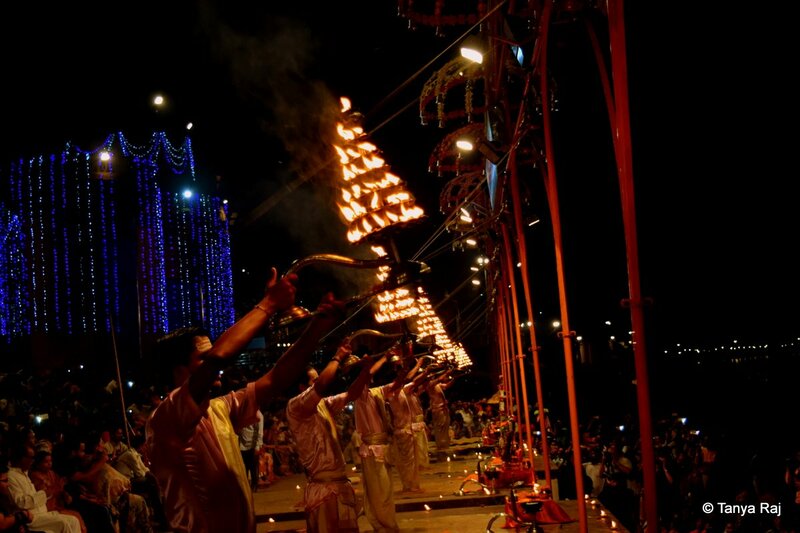 The platforms are lit up with small earthen lamps, filled with cotton wicker and oil. 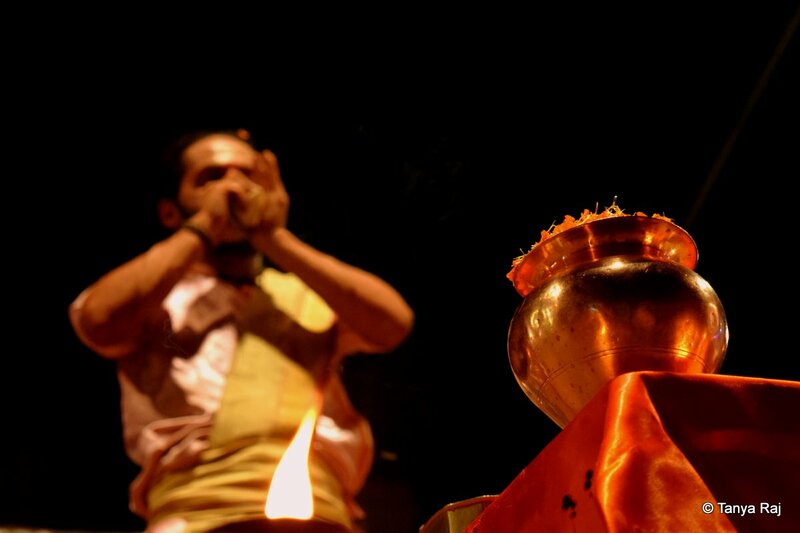 The evening Ganga Aarti begins with the blowing of the conch shells in unison and the ringing of the bells. 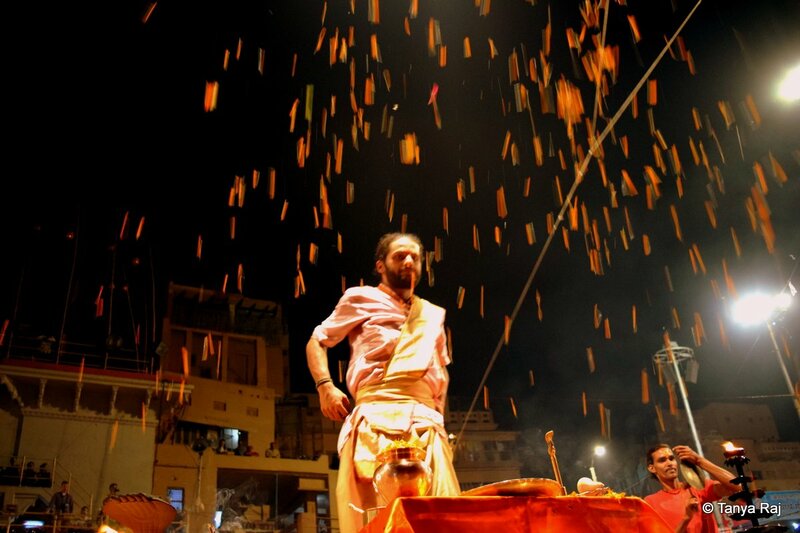 Smoking incense fills up the air with sweet aromas. 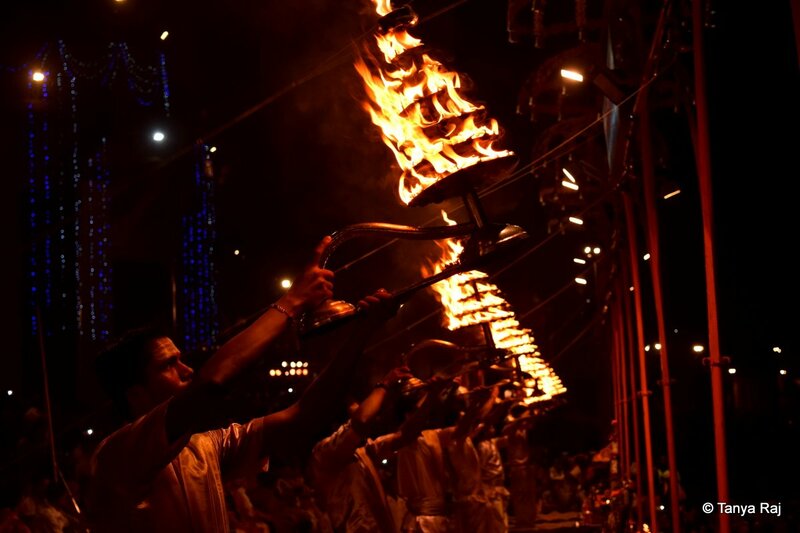 Next, the big lamps are taken out for the Aarti to begin. Every movement is coordinated by the priests across the platforms. 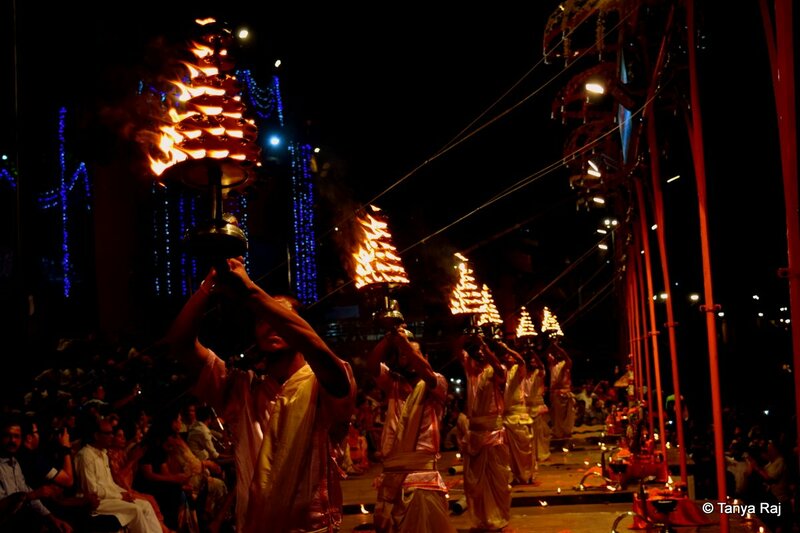 The lamps are waved in all four directions to honour all the elements and energies. The blazing flames do not seem to faze these priests even a bit. Camphor tablets are lit up for the next round. 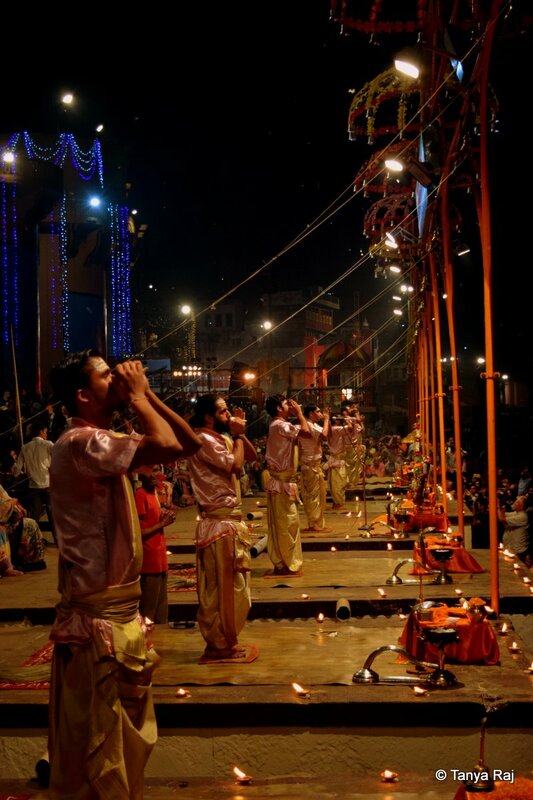 With deft movements, the circumambulation starts again on the platforms. 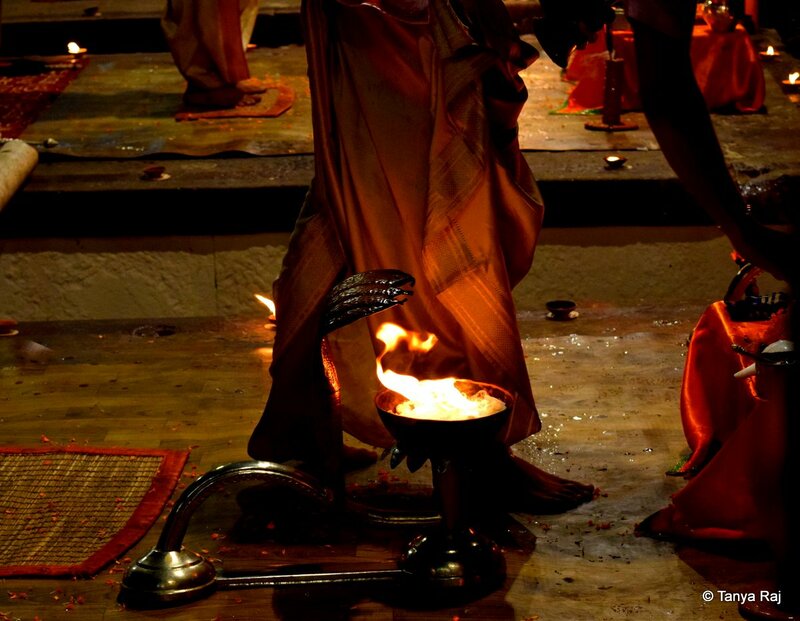 Fire, regarded as the purest of energies, is used to worship water, another of the cleansing elements. 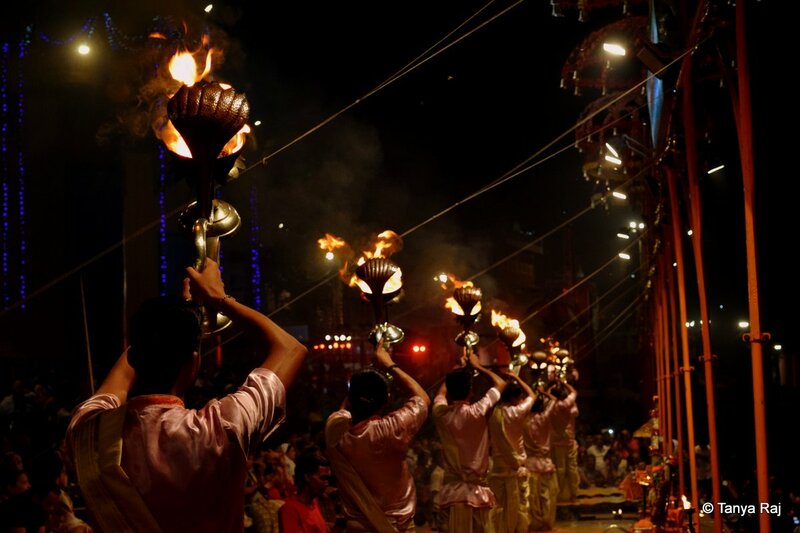 A sprinkling of flowers marks the end of the rituals of flames. 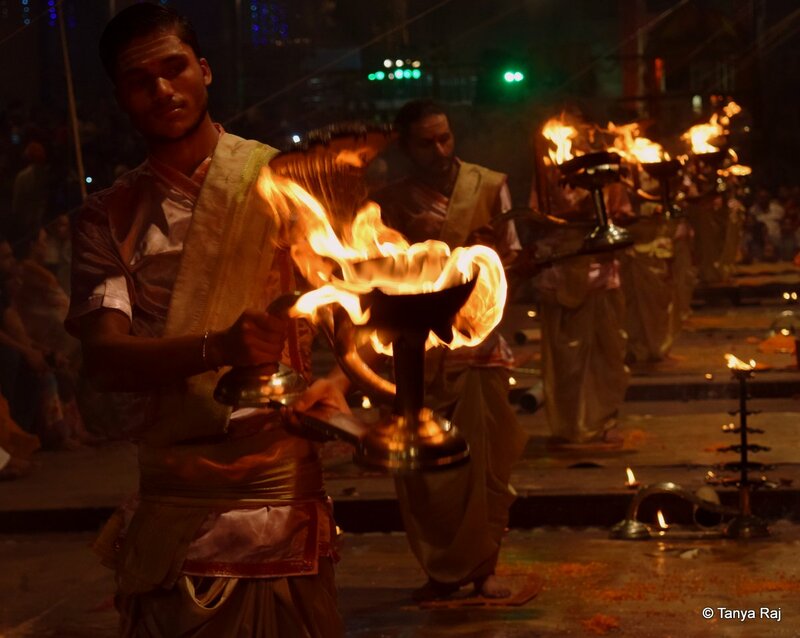 A last round of conch shells culminates the ceremony that is held every morning and evening on the ghats. The city is a maze; I volunteered twice to lead the way back and failed miserably. However, when here one must absolutely get lost, because it is only when I got lost is when I found the most mesmerising corners, fascinating people and interesting conversations. The buildings in the city tell a tale of its glorious past and blend in perfectly with its present. 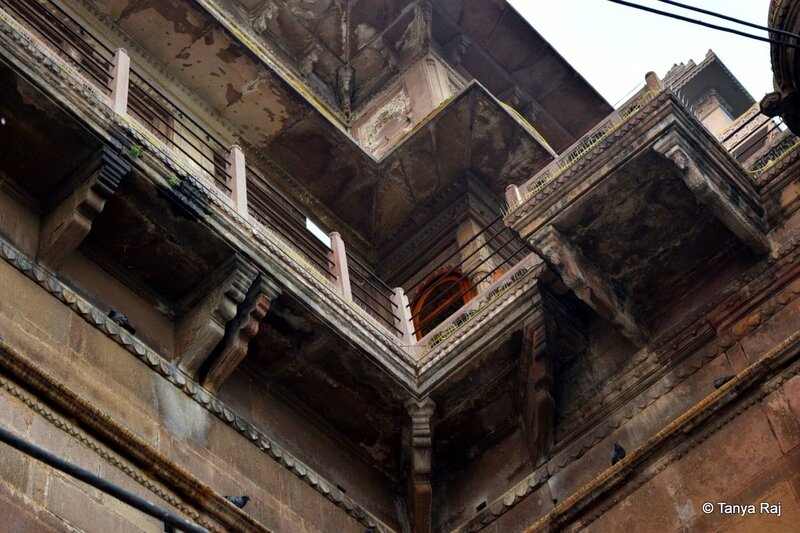 A section of an old haveli (living quarters of the nobility). 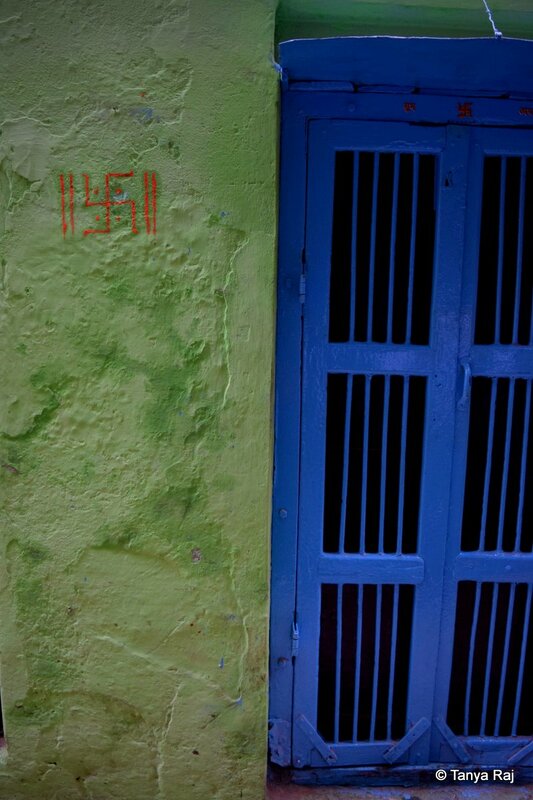 Old houses adorn this city of lanes that can be a maze. 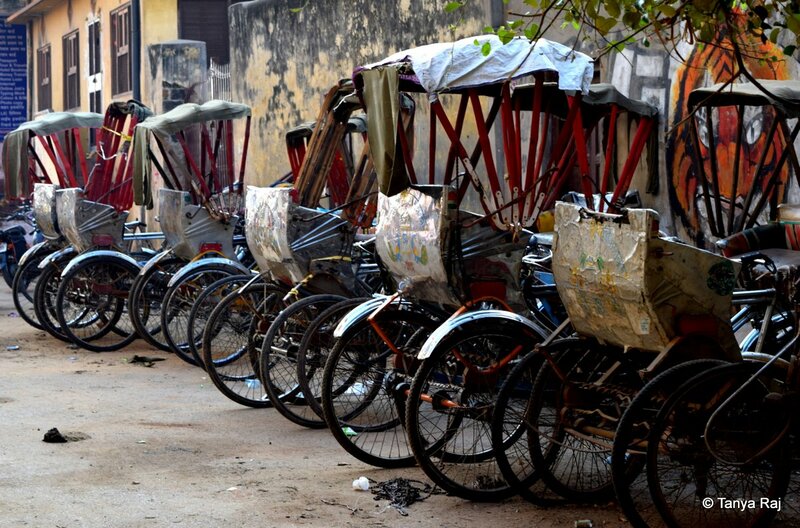 The lanes of Varanasi still have an old world charm to it; here a line of hand pulled cycle rickshaws wait for their day’s journey to begin. 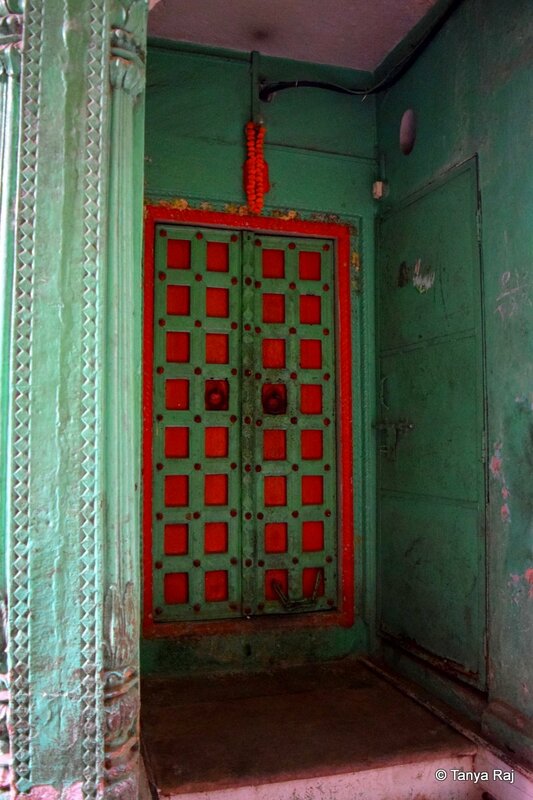 Fascinating doorways greet you at unexpected corners. And equally stark colour combinations. 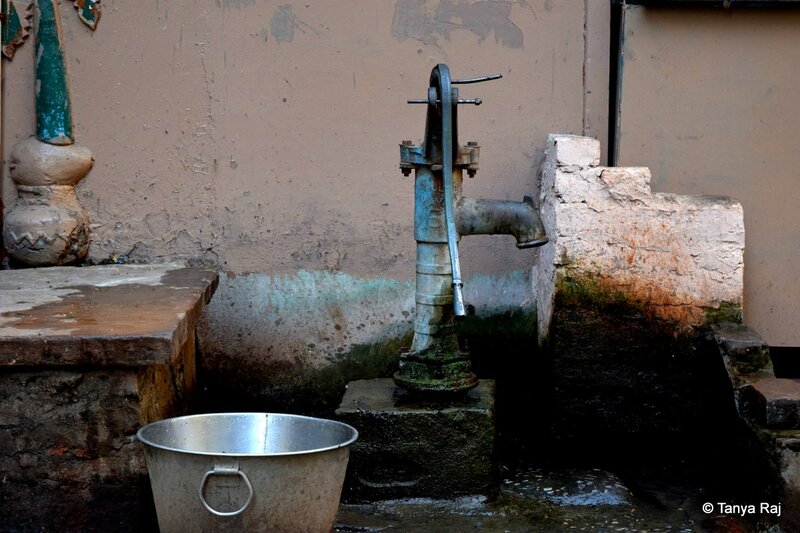 It’s been ages I had chanced upon hand pumps that draw water straight from the earth’s core. 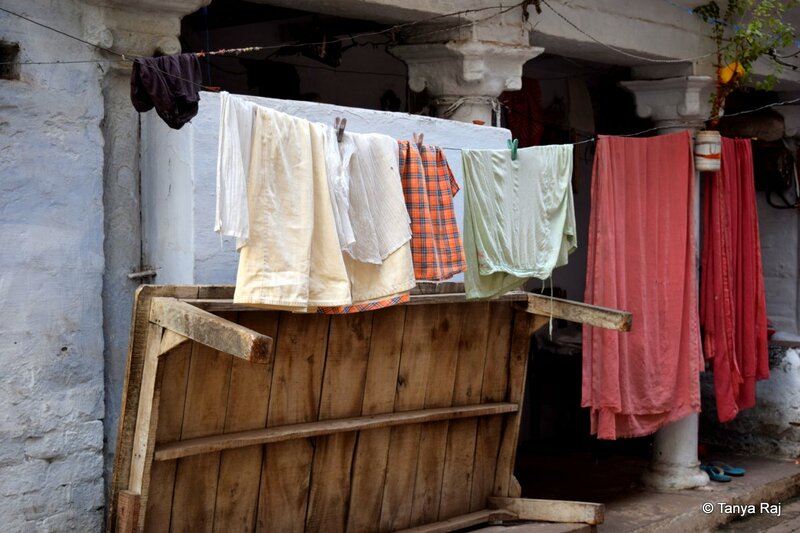 Scenes from daily life could be so eye capturing, who would have thought. 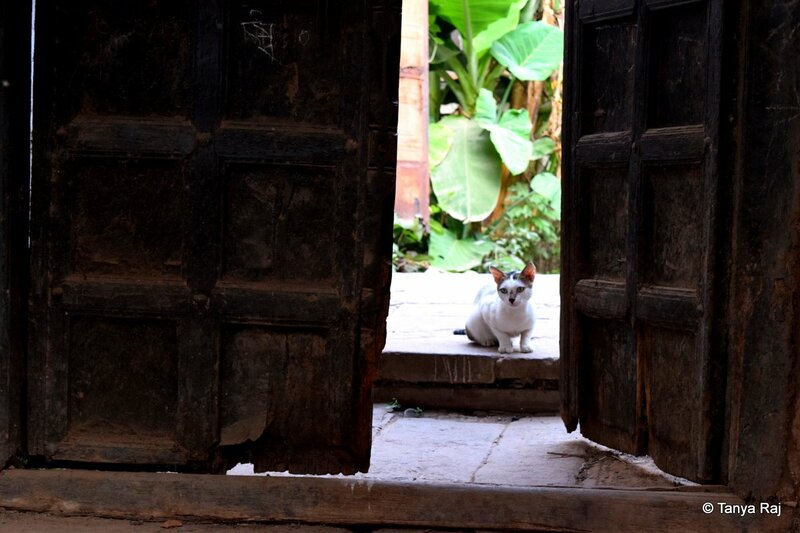 Ancient doorways with tiny kittens are made for heartmelts. 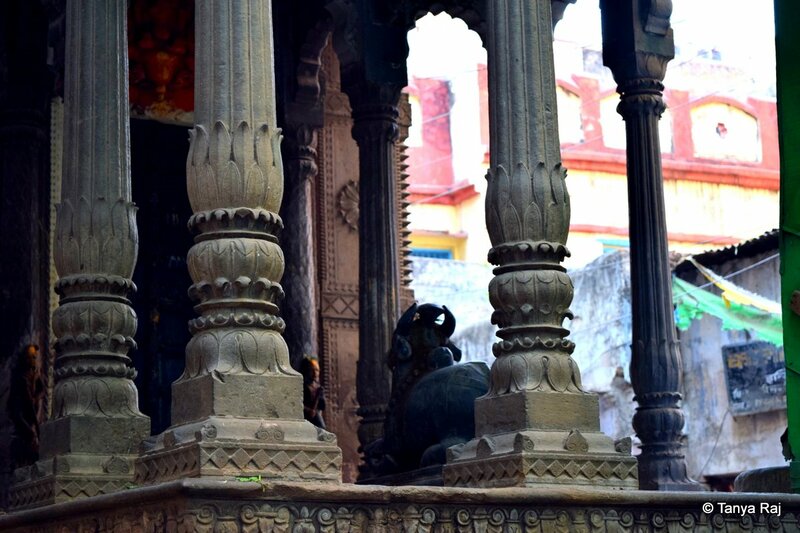 A Nandi bull statue at a Shiva Temple in a narrow by-lane. 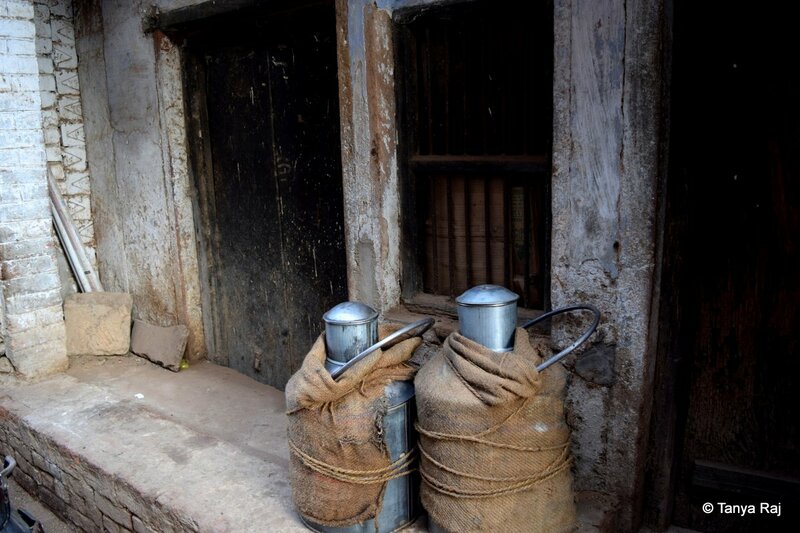 Milk cans like these are practically extinct in larger cities. 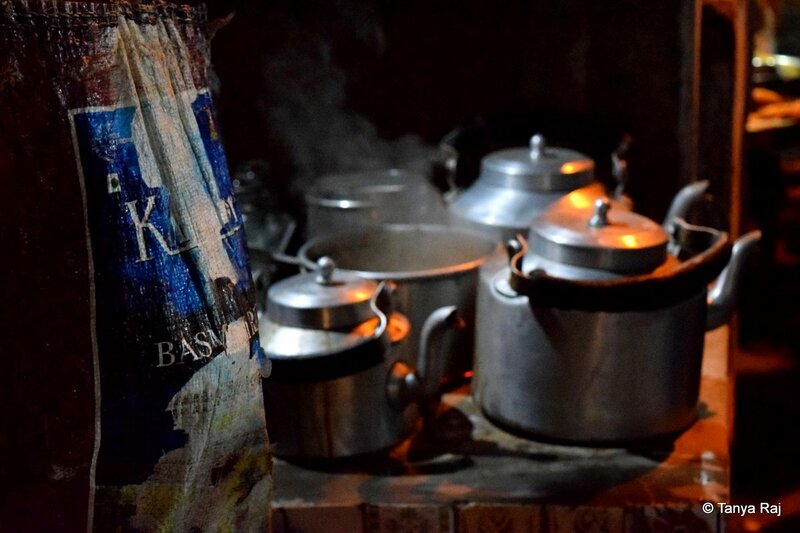 Chai from these really do taste different or maybe it’s the essence of Kashi.